Buying church furniture can be a long and difficult process for churches. From deciding on all the church furniture options to choosing a company to work with to raising the funds and arranging for installation, there are a lot of decisions to be made throughout the process. Your committee or other decision-making body will invest a lot of time, effort, and discussion. Before you make a final decision on your new church furniture, it’s a great idea to compare prices and packages to see how different companies’ offers compare. We offer free quotes to help churches in their decision process. Once you get to our free quote form, you might not know all the information that we need to make a free quote for your church furniture. If that’s the case, we encourage you to fill it out as best you can with what information you know and we’ll help you work out the rest. 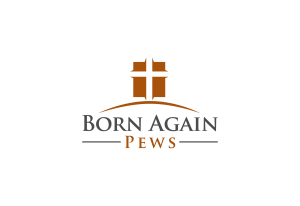 Many people don’t know exactly how many pews they’ll need, especially if they’re looking to expand their existing seating. If you already have church pews in place that need to be replaced, one easy step is to count them and measure how long the church pews are for the quote. Be sure to also give some thought to whether or not you need additional church furniture as well as church pews. When you fill out our form for a free quote be sure to include any extra notes you have about your other church furniture needs. Do you need a matching pulpit or communion table? 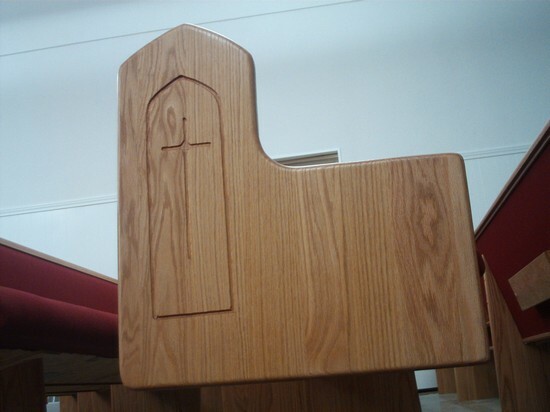 For styles, be sure to take a look at our catalog to see what types of church pew ends we make. The numbers correspond with different styles available in the free quote drop down menu. Keep in mind that white paint does cost more than stained solid oak and the more wood and complex the shape, the more expensive the church pew ends will be. If you have questions, be sure to give us a call and we can walk you through the free quote form.